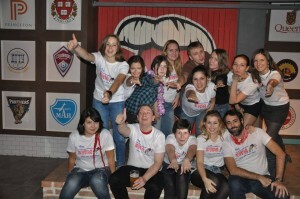 Local of the Month AEGEE-Rostov-na-Donu: “We have gained priceless experience in working together”. Located in the Don region, AEGEE-Rostov-na-Donu was elected as Local of the Month of January for their outstanding job in organizing the past Network Meeting. The local was founded in 2011, and since then they manage to be an active part of our network. The AEGEEan spoke with the president Anna Shevchenko, the secretary Alla Serikova, HR responsible Evgenia Kopytina and treasurer Lubov’ Blinkova in order to discover more about their local. AEGEE-Rostov-na-Donu is quite young. Can you tell us more about the history, the reason behind the creation and your struggles? Our Antenna started with a conversation between Irina Burmistrova, our founder, and her friends who are members of AEGEE-Voronezh. Ira was so excited to hear about international events which can be organized just by small group of students and so it was. We were lucky to receive the University’s support. It was not easy, it took a lot of time, but it was worth it! The Network Commissioner who supported us and helped to create our antenna was Olya Yatsyna. We want to underline, that the support of Network Commission and all AEGEE family was amazing. We will remember forever the Spring Agora Enschede, where our antenna was created! First board consisted of Ira as a President and four of her friends as Secretary, Treasurer, HR and PR. So as you can see, at the beginning AGEEE-Rostov-na-Donu was just a group of fellow-students, who were full of energy and enthusiasm to organize something really great! 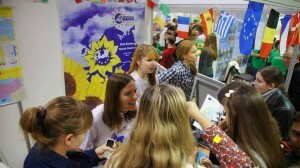 And so it was the first Summer Uniersity, which was organized together with AEGEE-Voronezh. Although the Rostov part was smaller, the important thing for our Antenna happened – it started to grow and attract more members. What do you think is the best achievement of your local? What makes you special? I guess the best achievement of our local was our first, and yet only, independently organized Summer University. It was a really big decision for us to make it on our own, because at the moment we didn’t have enough experience. But we decided that it was just the right time to start to gain this experience! Our special feature is that, being one of Russia’s antenna, we can introduce a special type of culture, which differs in some ways from the Russian culture, which is wide-known among foreigners. Our goal is to show, that there are a lot of various nations here. The region of our antenna – the South-West of Russia – is lived by tens of different peoples, from Russians and Armenians to small ethnic groups like Cossacks. This variety of languages, cultures and stories makes us special. You organized a Network Meeting (NWM) recently, what are the outcomes? Was it difficult? Organizing a NWM was a spontaneous idea, one of such like “ok, why not organizing it?” Of course there were some problems, among which there were discussions on the main theme of NWM – Slavic spirit. The matter is, we should have introduced the idea of common Slavic basis and to maintain our special feature as “the Don people” at the same time. But we came to the conclusion, that it would be also nice to try this sphere. The outcome for our antenna was great! As with every event, we gathered more active people who joined our antenna. Together with useful information, we have gained priceless experience of working together with the Network Commission. Of course, we became more united and closer to each other! Geographically you are closer with some Ukranian antennae, what is your position about what is happening now with #euromaidan? Do you have any special collaboration with them? Most members of our local are interested in #euromaidan events. Of course we are, because all Russians now concentrate their sights on Ukraine. Indeed, the region of AEGEE-Rostov-na-Donu is strongly connected historically and economically with Ukraine. Some of our members – and even members of the board, visited Kiev to support our friends from AEGEE-Kiev. We also stay connected with locals from Lviv, Kharkiv and Sevastopol. Moreover, before our Antenna was created, there were a few trips to NWMs in Dnepropetrovsk, Kiev, Odessa and Kharkiv. Exactly after NWM in Kiev we decided to create our antenna. So, you see, Ukrainian antennas play a very important role in the life of AEGEE-Rostov-na-Donu. How do you manage to stay connected with the network? 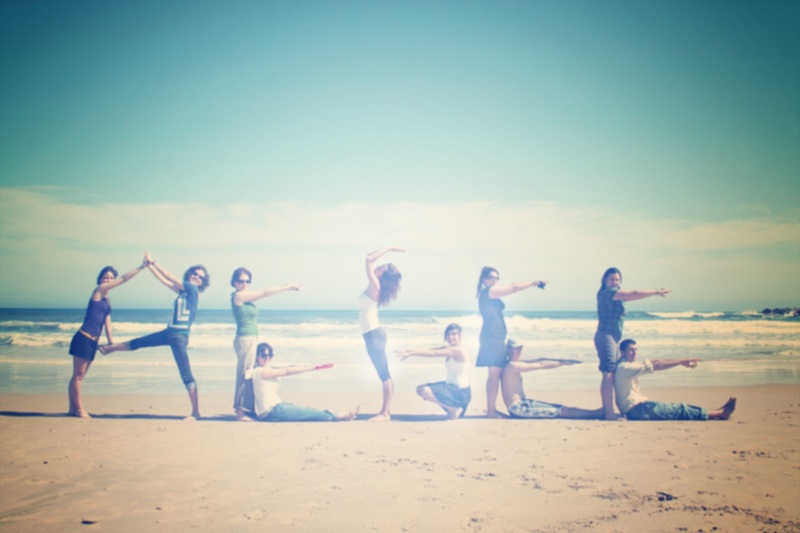 We receive letters with the latest AEGEE news and use groups in Facebook. We are really thankful to our subcommissioner Natasha Ivleva from AEGEE-Voronezh. She supports us and explains the important details of board’s duties. In 2012 it was “Upon the Rainbow”, in it was 2013 “Feel Europe, speak Russian”… any plans for the upcoming summer? Sure! We have already worked out the concept of our next SU for the year 2014. As usually, we decided to try something new for us, so the main idea, cities visited and the program will differ from those of last SU. However, this coming SU will surely have the spirit of the South-West of Russia with its special romance and atmosphere. So it seems that we have still plenty of things to do. We have a lot to offer! What are the next steps for your locals? After NWM we came to the conclusion of cooperating with Working Groups on different topics. Also it is very important for us now that members of AEGEE-Rostov-na-Donu could not just organize events, but also take part in European events. So, wait for us, Rostov is coming! Also we would like to point out the great role of guys from Taganrog – the city near Rostov, who helped us a lot with Summer Universities and NWM. Taganrog team even organized its own part of SU! So we would like to support them as much as we can so that they could possibly build their own Antenna. We wish AEGEE-Rostov-na-Donu the brightest future!